Animals vocabulary and comparison of adjectives. 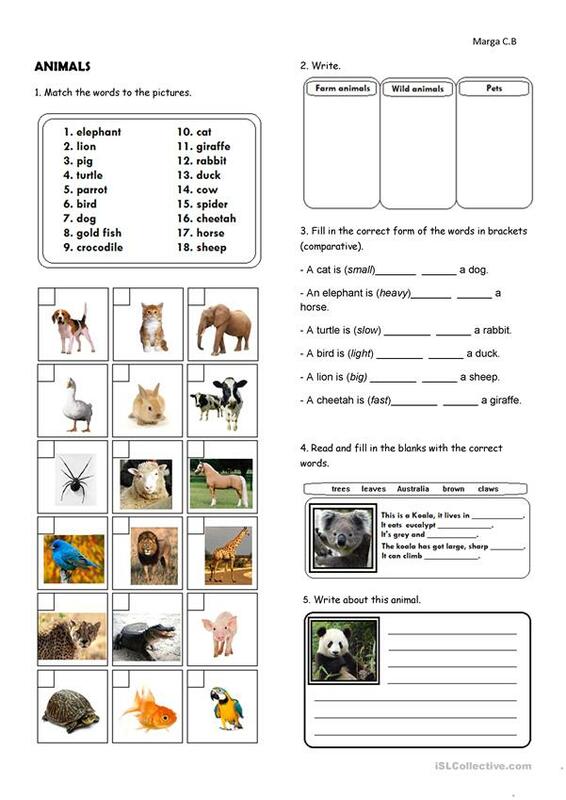 The above downloadable handout is recommended for high school students and elementary school students at Elementary (A1) and Pre-intermediate (A2) level. It is aimed at teaching Comparison (comparative and superlative) in English, and is a valuable material for honing your class' Reading and Writing skills. It is focused on the vocabulary topic of Animals. mar9 is from/lives in Spain and has been a member of iSLCollective since 2011-04-25 20:50:03. mar9 last logged in on 2019-01-22 14:13:33, and has shared 8 resources on iSLCollective so far.